Wigan Athletic have announced the arrival of 20 year old striker Jordy Hiwula from Huddersfield Town on a season-long loan. Jordy Hiwula-Mayifuila is a Mancunian who came through the Manchester City youth system. In 2013-14 he scored 20 goals in 31 appearances for City’s development squad, leading to him signing a two year contract at the end of the season. 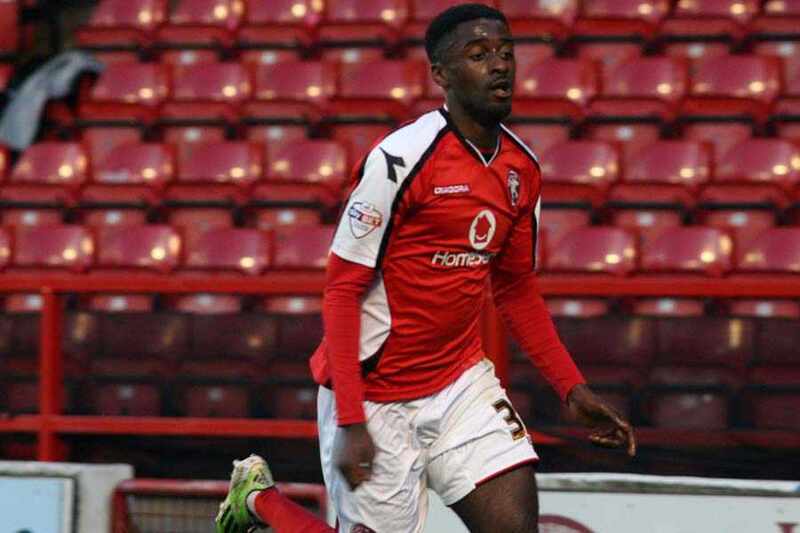 In February 2015 Hiwula joined Walsall on a one month loan. He scored after just three minutes in his first appearance, a 2-0 win at Doncaster. Hiwula’s loan was extended for another month after he had scored a couple more goals. He scored again in a 1-0 win over Yeovil in early March, later to come on as a substitute for Tom Bradshaw in the Football League Trophy final, which saw Walsall defeated 2-0 by Bristol City. Hiwula’s loan had been extended until the end of the season. He had scored 9 goals in 17 starts and two appearances off the bench for the Saddlers. In July 2015 Hiwula signed a three year contract for Huddersfield Town for an undisclosed fee. He made his debut for the Terriers as a 65th minute substitute in a League Cup game against Notts County. Hiwula has represented England at both under 18 and under 19 levels. Jordy’s arrival at Banks’s Stadium was greeted with something of a whimper, he’d had an nine game, almost goal-less loan spell with Yeovil Town which gave the impression of a player that wasn’t about to turn our campaign around. However just three minutes into his debut Jordy proved all the doubters wrong as he slotted home, helping the Saddlers to a 2-0 win over Doncaster Rovers. Following several solid displays Jordy went on to have his initial one-month loan deal extended to the end of the campaign and finished with nine goals in twenty appearances, including netting twice against Crawley Town and Bristol City. Jordy is a very capable player, with bags of pace and, given the right formation will surely be a good acquisition for the Latics. Click here to get a Manchester City view on Hiwula via the Huddersfield Daily Examiner. ← Short term loans or home grown talent?